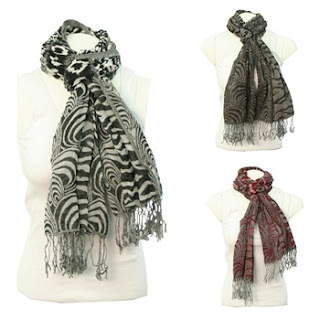 From today until tomorrow (9/29), you can get your choice of fashion scarves from Urban Boundaries for only $5.08. To sweeten the deal, use the code free31 to get free shipping! There are 3 different patterns, each with 3 different colors.